The Legislative Commission on Legal Affairs unanimously approved a draft bill this week that would decrease the amount landlords are allowed to hike the rent each year for houses and apartments. According to the country’s current Rent Law, each year landlords can set increases up to 15 percent on monthly rent. The proposed change in legislation would allow for rent hikes up to the average inflation rate recorded over the past 12 months — the interannual inflation rate — as reported by the National Institute of Statistics and Census (INEC) and Costa Rica’s Central Bank. The bill would also cap rent increases at 10 percent. As an example, a tenant who ended his yearly contract in February might be subject to a monthly rent increase of 3.53 percent, which is the interannual inflation rate for that month, according to the Central Bank. Bill #18,067 “Amendment to Article 67 of the Rent Law” was first drafted in 2012 by former Broad Front Party lawmaker and presidential candidate José María Villalta. But the proposal never had enough support to make it to the full Legislative Assembly for discussion. Now, the bill will move to the Assembly’s main agenda for discussion and possible approval. 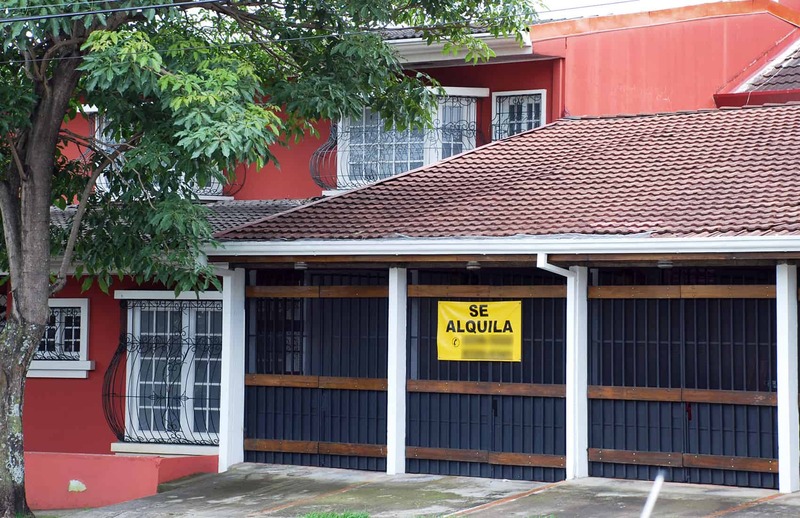 According to INEC, in 2014 there were 1,399,271 houses in Costa Rica, of which 265,503 were rentals. More than 850,000 people live in rented homes or apartments here.